United Progressive Alliance (UPA) chairperson Sonia Gandhi has landed in a soup over the Augusta Westland deal. The BJP has said that the conviction in Italian courts, clearly points towards a scam and serious irregularities on part of UPA government. 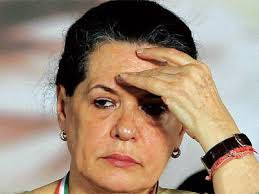 BJP leader Subramanian Swamy has said that Sonia Gandhi was allegedly involved in court proceedings of the scam in Italy. The Rajya Sabha saw acrimonious scenes after Swamy raised the issue. It was in 2010, when the UPA had signed a contract with UK-based helicopter firm AugustaWestland to buy 12 helicopters for IAF for Rs 3,600 crore. In February 2013, italian police had arrested firm's CEO and another official for paying briges to win the deal with IAF. After the development, the then Congress-led UPA government had cancelled the deal. In the judgment, Italian court mentions conversations and there is a mention of 'Mrs Gandhi' and 'her closest advisers'. BJP has alleged that the Congress leaders were involved and has said that party should come clean. The Congress has, however, said that it was during UPA regime that the AugustaWestland company was black-listed. It says that the BJP is acting desperately and is targeting Sonia Gandhi, unnecessarily. The party has claimed that it was character assassination.